Hallowe’en wasn’t really a big thing when I was growing up. It was frowned upon at my Catholic primary school and my mother seemed to be the only one who didn’t allow us to go round the neighbourhood Trick or Treating. I couldn’t understand this at the time and my brothers and I felt most hard done to. Of course, I now feel exactly the same with my own children- I really don’t like the idea of them knocking on doors in the dark. That being said, I’m always prepared with treats and love to see the local children all dressed up. Since my children were tiny though, I’ve done a Hallowe’en party for them. Sometimes big, sometimes small. It has become a much anticipated event in the family calendar and we use it as an excuse to dress up, get together and have a party. We decorate the house and bake, make and buy all sorts of themed goodies. This year, it was at my parents’ home and it was brilliant. I was expecting to have moved house by now, so had packed non-essentials, including our Hallowe’en costumes months ago. 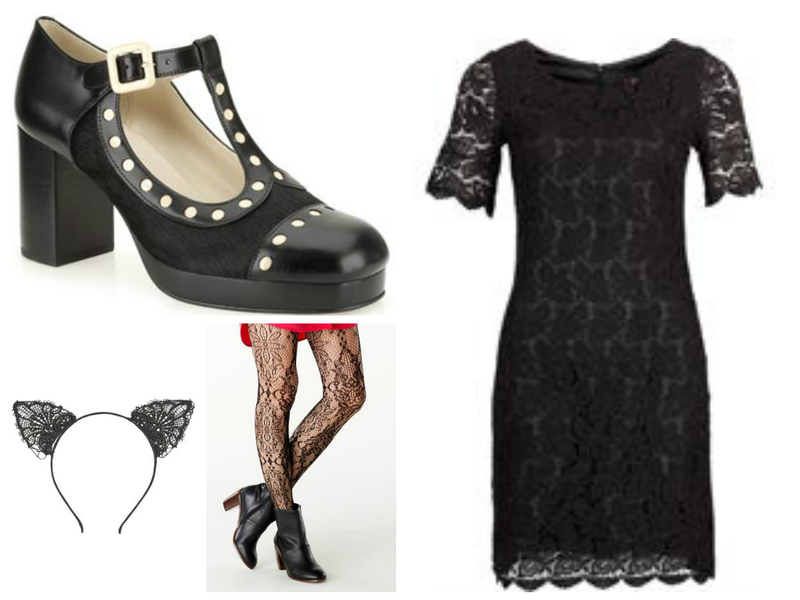 So this year, it’s a LBD with a few new accessories. …and cuddles with my baby niece.